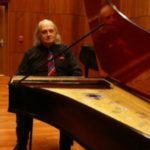 William Carragan, musicologist and harpsichordist, is known for his research in both baroque chamber music and nineteenth-century symphonic literature. He is a contributing editor of the Anton Bruckner Collected Edition in Vienna, for which he prepared a new edition of the Bruckner Second Symphony in two versions, over the period 1986 to 2007. The early (1872) version was performed in 2007 in Leipzig and Montreal by Herbert Blomstedt and subsequently taken on tour by him. The 1872 and 1877 versions have also been conducted and recorded by Georg Tintner, Riccardo Chailly, Gerd Schaller, Simone Young, Daniel Barenboim, Paavo Järvi, and others. He has also reconstructed the premiere version of the Bruckner First Symphony from 1866, which was recorded by Tintner in 1996 and in 2011 by Schaller, and a previously unheard version of the Third Symphony from 1874 which was first conducted and recorded by Akira Naïto in Japan in November 2007 and again by Schaller in 2011. From 1979 to 1983 he devoted himself to a completion of the Bruckner Ninth; so far it has been performed in six countries and has received four recordings, the most recent being of a comprehensively revised version of 2010 under Schaller at the Musiksommer Ebrach that year. A recording made at that event has been issued by Hänssler-Profil, along with recordings of his editions of the First, Second, and Third Symphonies, and an account of intermediate versions of the four movements of the Eighth. In 1996 he was the organizer and host of the only western-hemisphere international conference held in observance of the Bruckner centenary that year, and more recently he has presented a number of papers devoted to analytical matters and longitudinal studies of Bruckner performance, many of which have been published in The Bruckner Journal. In 2010 he was awarded the Kilenyi Medal of Honor of the Bruckner Society of America. For the Schubert anniversary of 1978, Prof. Carragan completed and performed several of Schubert’s unfinished piano sonatas, and ten years later he prepared a four-movement version of the Schubert Eighth Symphony which was recorded most recently by Schaller at Bad Kissingen. In his youth he studied composition with Alfred Swan, piano with his mother Martha Beck and with Stanley Hummel and later with Gilbert Kalish, and harpsichord with Louis Bagger, and has given many performances of the baroque solo, concerto, and chamber literature over many years. He has prepared the first edition ever made of the complete harpsichord works of Johann Mattheson, which he is engaged in recording. He is also the translator and editor of the liturgy with full seasonal propers of the Western Orthodox Church of France, fully set to music in eight volumes, and is now working with Christian Ritter on a similar effort in Byzantine Orthodox music which has already run to over fifteen volumes. He was Professor of Physics at Hudson Valley Community College in Troy, New York, U.S.A., from 1965 to 2001, and is the author of a comprehensive four-volume textbook of introductory university physics. He has two daughters, Josephine and Martha, of whom he is very proud. Chuck Benson suggested I write you regarding your revised completion of the Bruckner Ninth. Is it possible to buy a score, and if so how much would it cost? I have Gerd Schaller’s fine recording of it and am anxious to see it now. Dear Roy, I could send my two-piano arrangement of the 1874 Bruckner Fourth to you as a pdf of many pages at no charge, or given some time I could have it printed in a pair of spiral-bound books, one for each player, for which you should pay. It would probably cost about $50 plus postage for the two copies. You will have a lot of fun with it. The finale is particularly very ornate.